A “crocodile” spotted bobbing along among luxury houseboats on the River Thames on Tuesday morning turned out to be a pond ornament. Police were called to Chelsea Harbour after Dr. Chris Davies, who was walking his dog, spotted the reptile. However, doubts over whether it is real surfaced quicker than the croc in question. But harbor master Colin Bullock, who was called in to deal with the mystery sighting, told the Evening Standard: “It was just a pond ornament, that was it. It was quite obviously a plastic item and I just got a net. “We had a case previously where a caiman was dumped in a reservoir in Bristol,” a spokesperson told the Daily Mail. 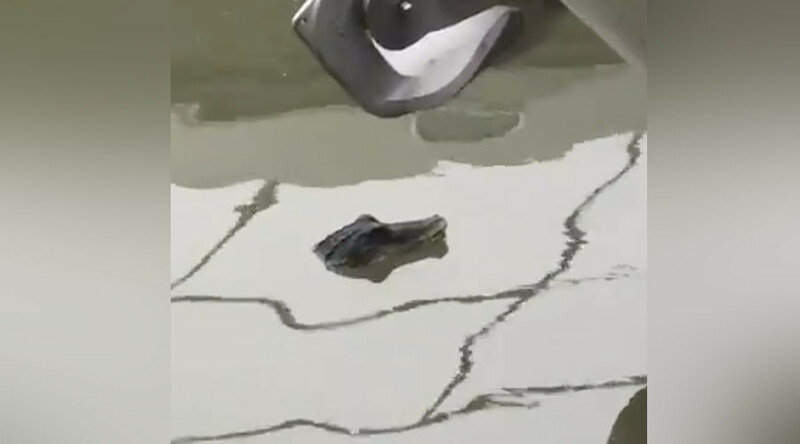 In 2013, a croc spotted in the River Thames near Reading turned out to be an old James Bond movie prop.